Have No clue. Googled but still No idea! 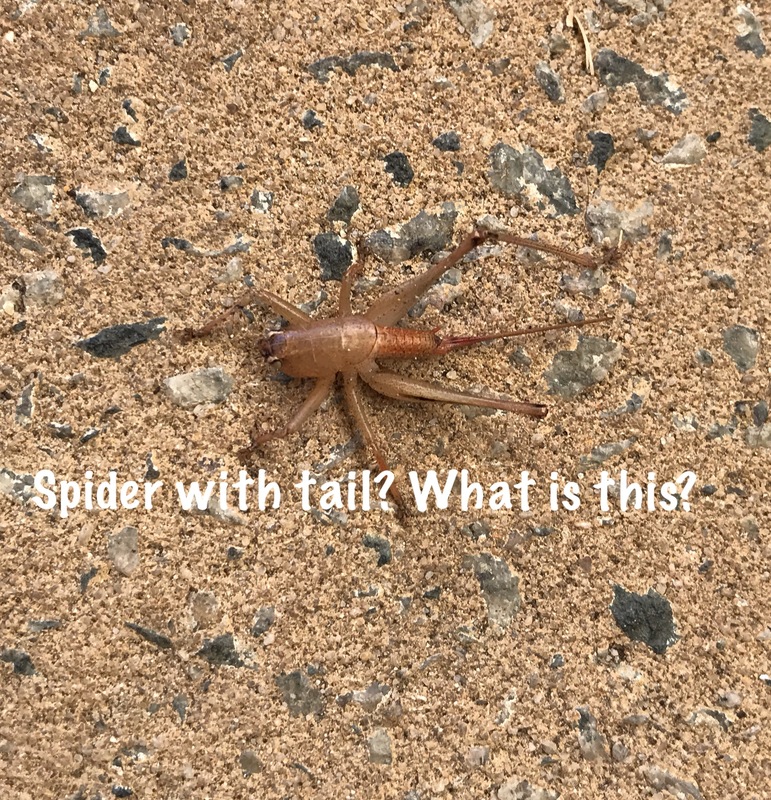 I don’t know either so I tried Google Lens, which said it’s a spider. It isn’t a spider. It has three pairs of legs instead of four pair. The first legs have something like claws. The white lateral eyes are just weird. I’m not sure if the prosoma is one or two segments. If it is one, then it isn’t an insect. There are whipscorpions (Order Uropygi) and crustaceans and maybe other options still. TangledWeb is correct it is not a spider but has 6 legs. It is one of the Orthopterans, a cricket, locust or grasshopper. It is a female and the long “tail” is the ovipositor. Yasin42 says it looks like a locust.